If you're stressed, overwhelmed, tired, burned out, or you just need a pick-me-up, you need Reiki! Why Do You Need Reiki? Reiki will help you calm down, center, relax and rejuvenate. It will refresh you and help you focus so you are ready to take on whatever life has to offer! Should I Get Reiki or Learn Reiki? Those who want to recharge and carry on might be happy with receiving Reiki sessions. Healing energy will wrap you in a warm hug. For those who wish to experience Reiki on a more regular basis, or use healing energy to fuel their personal growth, becoming attuned might be the path you choose. 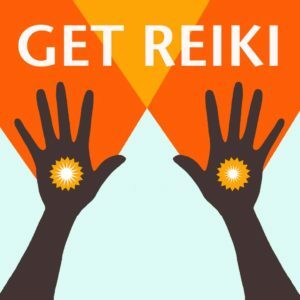 How Can I Use Reiki? As a recipient of Reiki, you can use the healing energy to help clear any stuck energy you may be holding on to or as refreshment. As a Reiki Practitioner, you can use the energy in as many ways as you can imagine. It can be used for self-treatment, treating other people, the world, animals, food, plants, you name it! Reiki is a natural energy healing system that was discovered by Dr. Mikao Usui in the mid-1800's in Kyoto, Japan. Dr. Usui was the Dean of Doshisha University, a Christian seminary. His journey began when his students questioned him about why, if the bible was to be perceived literally, were there not healers performing healing as Christ did. Usui did not have an answer for his students. Urged by his honor, Usui left his job and set out on his search for the answer. Most everywhere he looked, Usui was met with resistance. Spiritual leaders of many faiths were dismissing his quest, stating that their concern was not in healing the body, but rather in healing the spirit. Usui persisted. Eventually, he found an abbot in a Zen monastery who was willing to entertain the idea. What once was can be again, as a matter of principle. This inspired Usui and his search led him to learn both Chinese and Sanskrit, in order to study the Sutras, looking for clues. Finally, after seven years of searching, Usui found in the Tibetan Sutras, the formula for the healings of Christ. He had the intellectual information, but he needed the spiritual empowerment to complete the puzzle. Usui and the abbot meditated on this dilemma, and both came to the conclusion that they should fast and meditate for 21 days for enlightenment. Usui chose to climb Mt. Kui Yama, a sacred mountain near Kyoto. Early on the 21st day of his fast, Usui saw a beam of light moving toward him, growing larger as it came closer. Despite his fear, Usui felt this must be a sign, so he centered himself for what was to come. As soon as he surrendered, the light struck him in the center of his forehead. The light became a rainbow of bubbles, evolving to white, and each containing a Sanskrit character in gold. He recognized these characters as the key to healing. When he emerged from his trance-like state, it was mid-day and he was grateful and excited to share his discovery with his friend, the abbot. Usui quickly ran down the mountain, but in his haste, tripped and hit his toe, tearing the toenail back. He instinctively reached down to hold his toe and was surprised that after just a few moments, the bleeding and pain stopped. He continued down the mountain and happened upon a street vendor. He ordered a large breakfast, despite warnings from the vendor to eat broth after fasting. Amazingly, he was able to finish his entire meal without any discomfort. While there, he met the vendor's daughter, who was in such pain over a toothache, she had been crying. Usui asked if he could touch her face and she agreed. Within moments of putting his hand to her face, the pain and swelling subsided. When Usui returned to the monastery, he discovered his friend in bed, suffering from arthritis. While he shared his experiences with the abbot, he gently laid his hands on him and the abbot's pain disappeared. For the following seven years, Usui spent his time in the Beggar's Quarter of Kyoto. He hoped that by healing the inhabitants, they could return to society. However, he noticed similar faces over time. He asked why they returned, and they explained that while they were able to find jobs and be with family, they could not handle the responsibilities of life. Usui then understood that there needed to be a clear exchange of energy, so the recipient would see value in the work. He also realized that the symbols were to be used to attune others, placing the responsibility of healing and mastery in the hands of the people. Usui spent the remainder of his life teaching Reiki to others, before turning over the honor of carrying on the tradition to his devoted student, Dr. Chujiro Hayashi. Experience the relaxation, rejuvenation, and refreshment a distance Reiki session can bring.